it’s like one of those puzzle games; you have to move all of them to perfection to allow the red one out of the trap. On insane mode. Well, since the whole doesn’t give a crap about you, why should you give a crap about the whole? Looks more like a second-world country, and I’m betting it’s more socialist than capitalist. 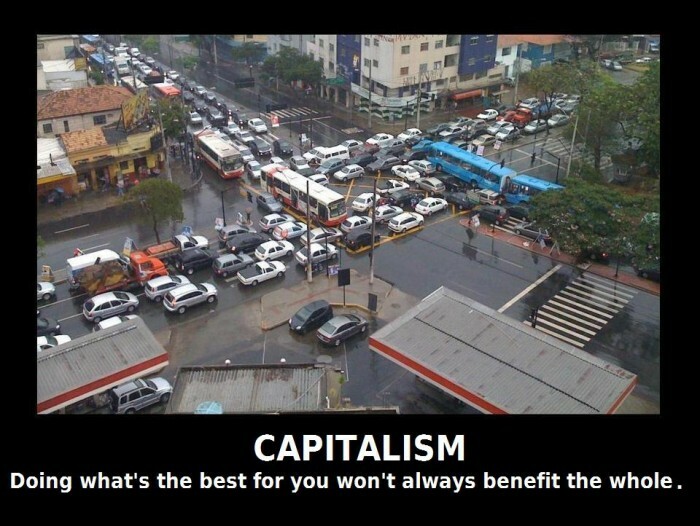 That is not the definition of capitalist at all. You could use this pic to indict pretty much any political system/viewpoint you disagree with. PACIFISM – Peace leads to complacency. Complacency leads to stupidity. Stupidity renders you immobile and exposed to attack.